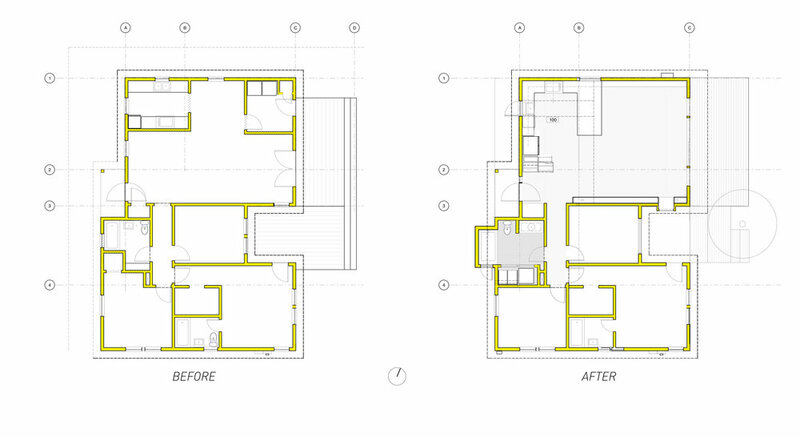 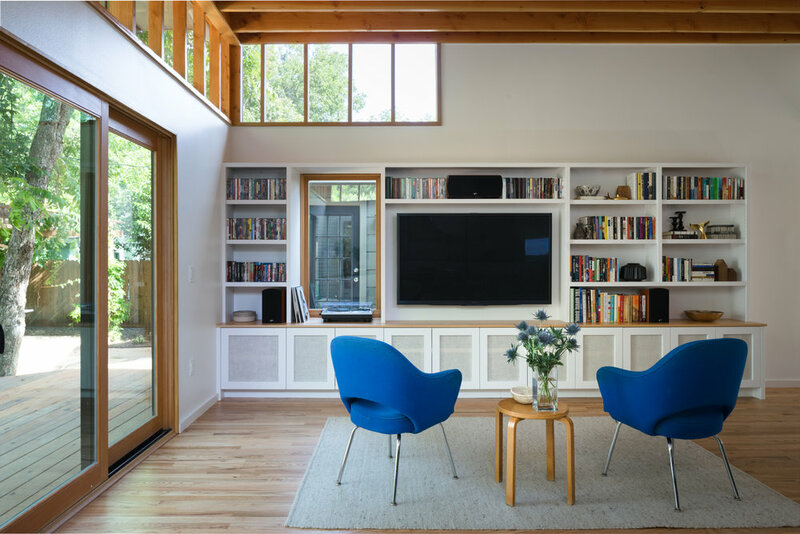 This typical Austin 1950's bungalow was strategically remodeled to transform an awkward arrangement of dark, low-ceilinged rooms into a single continuous space with kitchen, dining, and living areas. 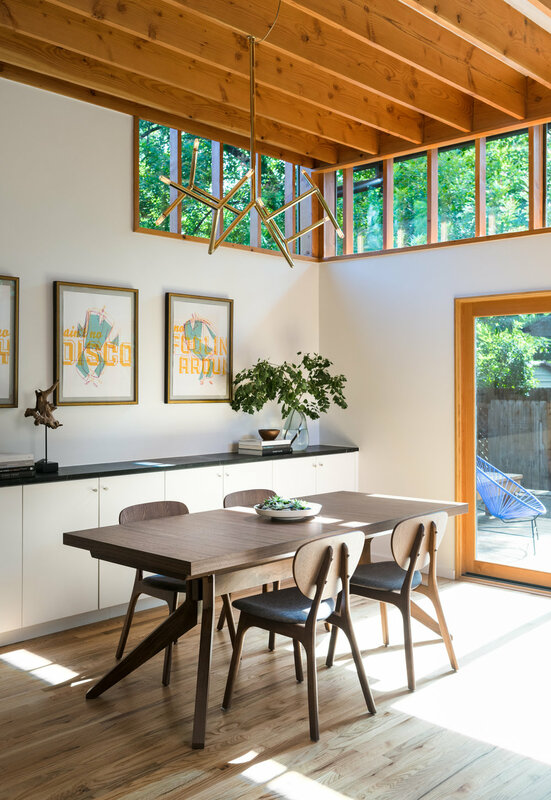 Custom clerestory windows provide indirect daylighting throughout the day, and a tall window slot in front of the kitchen sink frames a mature crape myrtle. 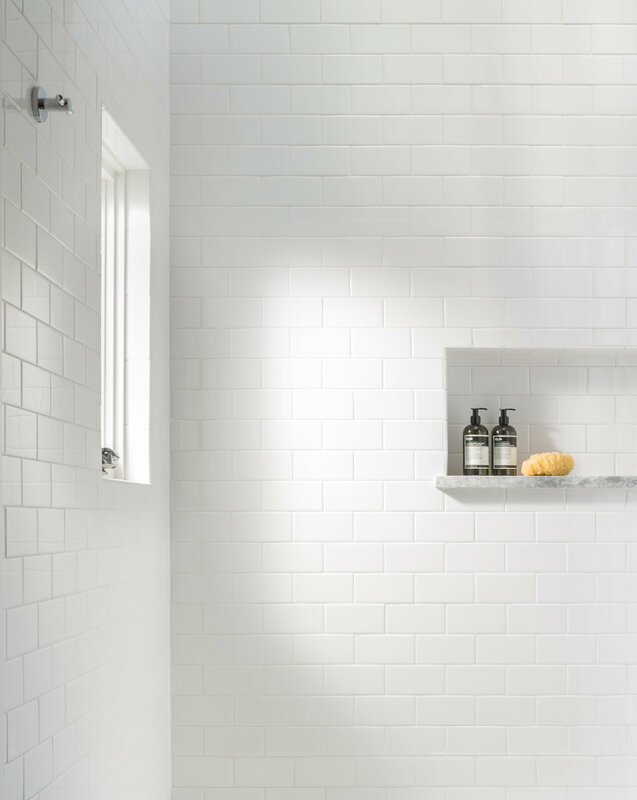 Built-in cabinets maximize storage along both sides of the room.